Gateway to Africa Inclusive Growth decidedly isn’t another title to add to the overwhelming narrative on the subject, which the Author has reviewed. 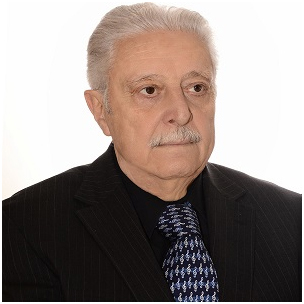 Then, Dr Graziosi complemented the desk research with an extensive field experience in the Continent along with the profound expertise in development finance issues, in particular Credit Guarantee Fund/ Trust Fund/ Grant Facility/ Revolving Fund, which designed, managed and evaluated in fourteen Countries. He conceived JAMBO FUND in the picture of the Community-based economy as a new approach replacing Credit-based economy. JAMBO isn’t a fund as usual; it is a Risk Fund with a vision taken from the Objectives 1 and 8 of SDGs 2030 Agenda, which has been the reference in point to promote growth via business approach and in so doing face poverty with jobs creation. Although the FUND’s horizon is the Continent, it doesn’t mean to cover 54 Countries, although opportunities could be available everywhere. Moreover, the Model is viable for a specific request at both regional and country level world-wide. In addition, he has completed his viewpoint by investigating the contractual conditions of experts, consultants and practitioners working overseas with donor-funded programmes. On this matter, he has concluded that Practitioners/ Experts/Developers employment status has implications for the quality of the outcome. Abstract: The digitalization of the financial services has disclosed risks and opportunities, the former represented by a war between the two providers, which may drive to unsustainable offers and likely financial implosions and the latter the achievement of a real financial inclusion for those we haven’t yet been included in the financial circuits. Summing up, digital providers may benefit a lot cooperating with financial providers, when it comes to design a model, which asks for expertise and experience on financial services above the ground. Concrete Proposal : we don’t say that money transfers and remittances should be free of charge; we do say that the service should be sustainable for the provider, accessible for the potential client and affordable for the user. Technologists and Financiers should find out the way to not overcharge the transfer of small amount of money presumably made by people working away from their own places and sending money to those who are in need. If we don’t find out modalities to minimize the commission, we will penalize the poor and mislead the purpose of financial inclusion. This is a technical matter that may be overcome elaborating on the statistical data; it may be assumed, for example, a cheap commission for small amount or linking it to the frequency of the transactions in a given period. Also, it could be studied that the GVTs of poor countries may take the charge of the commission or part of it.